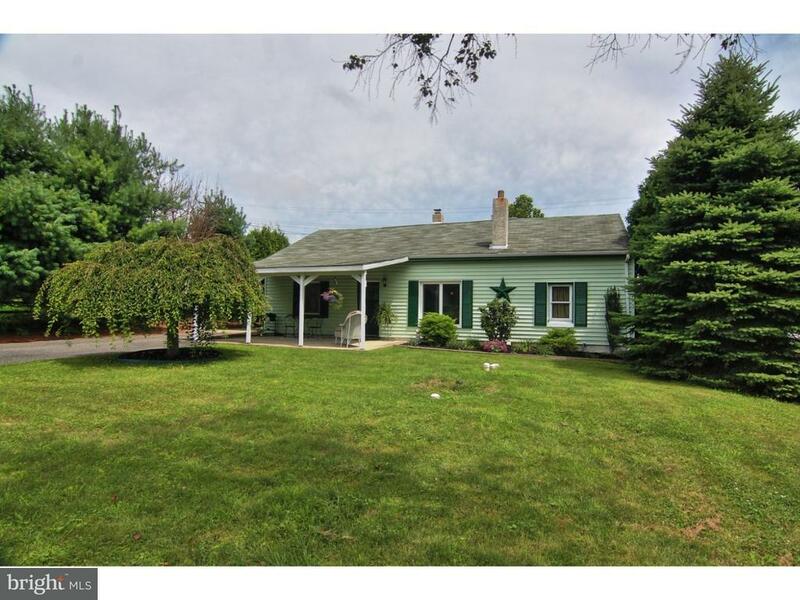 Absolutely adorable Boyertown ranch! Main floor living with nothing to do but move in! A large covered front porch welcomes you to the front entry. Step inside and you will find an open floor plan featuring living room with fresh carpet and built ins. The updated kitchen features tile back splash and counter seating. Off of the kitchen you will find a sunny breakfast room with large slider to the back patio. A convenient main floor laundry and utility room is just beyond that. On the other side of the home there are two bedrooms and an updated full bath. A centrally located wood stove heats the entire home very economically in winter! Ample storage is available in the attic and outside storage shed. The over-sized carport is great for covered parking and the backyard is fully fenced. An above ground pool rounds out the amenities. This home offers quiet, simple country living! Low taxes too! Ask your lender about USDA financing! This home qualifies. Passing water and septic reports available.